Reverberations in the aftermath of a natural disaster are almost always economically tragic. 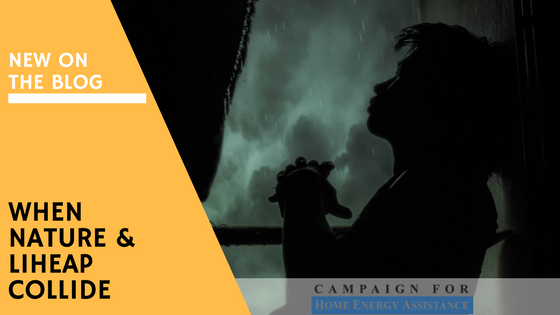 Along with the horrific immediate devastation Hurricane Harvey has rained down across Texas, the longer-term energy costs of everyday Americans was further threatened in terms of the coming winter's utility bills. CNN Money reported that "it still threatens to cause prolonged disruptions to the critical refineries along the Texas Gulf Coast." Focusing specifically on the damage the storm has caused to the heart of the business of drawing oil from the gulf, CNN added that "Houston also marks the beginning of the Colonial Pipeline, which transports more than 100 million gallons of gasoline, heating oil and aviation fuel each day to as far as the New York harbor. Power outages during Hurricanes Katrina and Rita in 2005 forced the shutdown of parts of the Colonial Pipeline for several days." Fortune Magazine noted that, as a consequence, "those closures...are pushing up the prices of energy products like gasoline and heating oil as investors anticipate a drop in supply. Gasoline October futures were up 4 cents on Friday to $1.58 per gallon, their highest point in four months. Heating Oil October Futures jumped up by 2 cents to $1.65 from $1.63. Just turning the power back on in and itself was proving an early challenge, according to CNBC. The outlet highlighted the vastness of the impact, citing 280,000 customers without power along the Texas coast and in Houston, and about 7,500 Texas New Mexico Power Company customers were still experiencing outages, according to the company's outage map." The very utility companies who might normally be the ones threatening shut-offs to families were putting such considerations aside as crews from around the nation raced to aid millions of households in repairing power grids and restoring power to individual homes. The Topeka Capital Journal announced an all-hands-on-deck assistance strategy: "Westar Energy crews from across Kansas were mobilizing at the Belle Plain rest area on Interstate 35 south of Wichita as they prepared to depart about noon. CenterPoint Energy, which provides electricity and natural gas service to the Houston area, reached out to Topeka-based Westar and other regional utilities to help repair damage and restore power to nearly 60,000 customers," officials said Monday. In Kentucky, Louisville Gas and Electric Company and Kentucky Utilities Company dispatched 190 "employee and contractor line technicians, team leaders, tree trimmers and additional support staff" coming from areas across the region. The teams boosted restoration efforts, dispatching assets to both Texas and Florida in anticipation of Hurricane Irma's expected landfall. "More than 50 of LG&E and KU’s contractors remain in Texas, where they arrived last weekend, continuing to assist American Electric Power with restoration efforts following Hurricane Harvey," reported The Lane Report. That trend is expected to continue throughout September as a steady stream of professional talent donated their time, expertise, and equipment to getting power restored as fast as possible in Hurricane-affect areas. In response to the threat of spiking energy prices as a consequence of Harvey's damage heading into the fall, local LIHEAP offices and officials from across impacted areas worked quickly to publicly reassure already-vulnerable households that utility services would not be interrupted where the storm was responsible and repaired, especially with Hurricane Irma's impact on Florida's electrical grid. Fox Business News reported that end Florida utilities warned consumers about the likely loss of electricity due to Hurricane Irma, despite billions of dollars in investments to strengthen the power grid in recent years. In reaction, Northeastern utility crews from neighboring states were ready to help with the restoration efforts. Exelon, the parent company of Maryland utility providers BGE, Delmarva Power and Pepco, told Patch.com it was preapred with over "1,000 utility contractors ready to start traveling to Florida and Georgia. The workers ranged from tree crews to line workers and safety personnel." From as far north as Michigan, The Detroit News announced similar news that local "utilities are sending hundreds of workers to Florida so they’re ready to assist with power restorations when Hurricane Irma hits the state." DTE Energy sent roughly 300 line workers plus 100 tree trimmers...and more than 200 Consumers Energy employees and contract personnel are headed from Michigan to Florida to assist local electric companies.